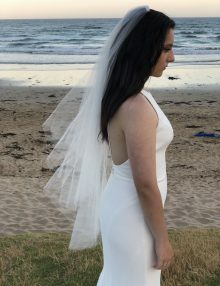 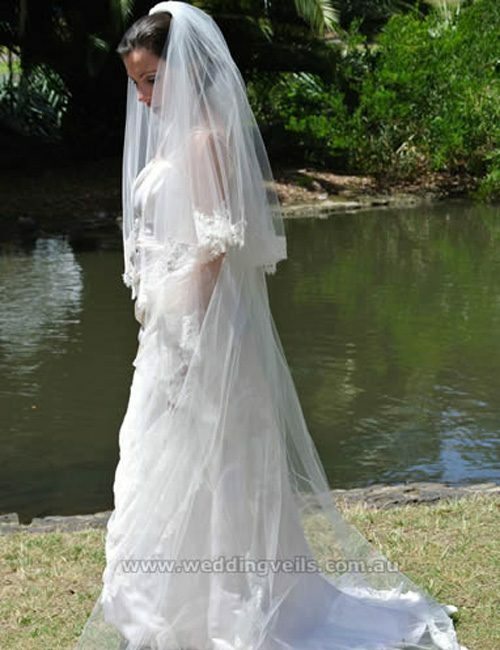 Chantelle is a stunning French chantilly lace veil. 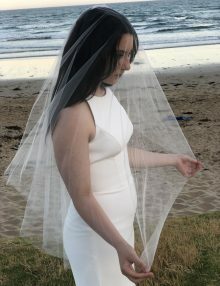 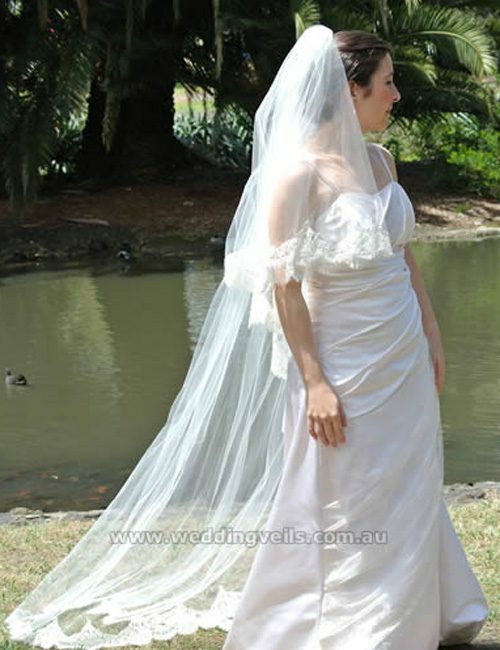 A truly beautiful and elegant veil ideal to wear with a lace wedding gown. 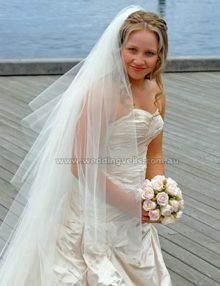 Or add the beauty of lace to a simple wedding gown. 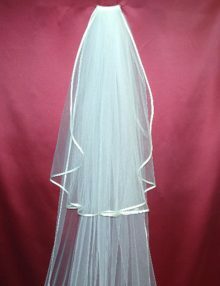 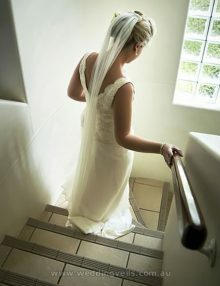 This veil is a cascading style, with a blusher which can be worn over the face. 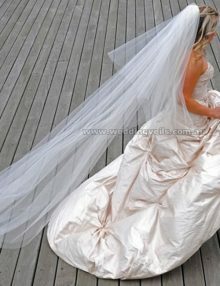 The blusher is waist length (80cm) with bottom tier chapel length (210cm), and available in longer lengths. 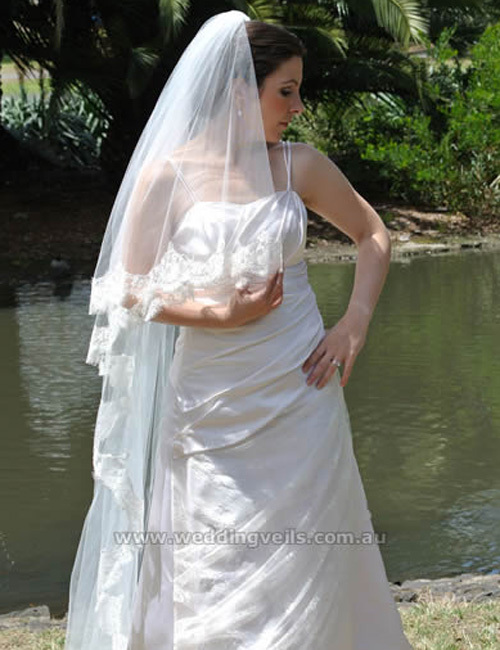 Features French chantilly lace edging which is beautiful and soft.